Innovative Orange (IO) is a Laserfiche Solution Provider based in Houston, Austin and Dallas, TX. While the company is focused on selling enterprise content management (ECM), a large part of the company’s business still revolves around selling equipment such as scanners and copiers. Each order packet and sale requires a substantial number of forms. In the past, this meant a customer would have to read, complete and sign up to 25 pages of paper forms. Frequently, forms would be incomplete, contain incorrect information, or be missing signatures. The sales representative would have to take the forms back to the customer to complete. This process could take weeks, especially if the customer was particularly busy and had infrequent times available for in-person meetings. Once the order packet was complete, it had to be scanned, page by page, into a legacy document management system. Each page had to be saved separately, making scanning cumbersome and time consuming. Furthermore, sometimes admin staff forgot to scan the documents, or ran into technical issues with the legacy system and gave up. This resulted in significant challenges when searching for those documents at a later time. Here is how IO overhauled the entire ordering process with Laserfiche Forms and Workflow, reducing order processing from several weeks to just four days. 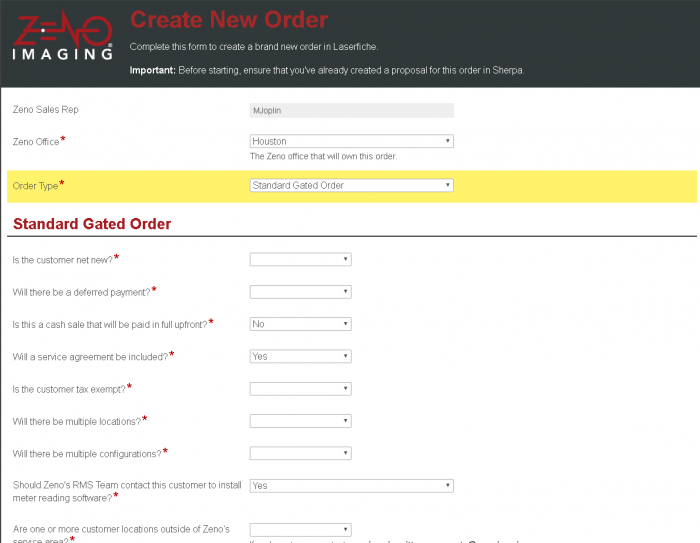 IO’s new process starts when a sales representative creates a new order by simply filling out a Laserfiche form titled Create New Order. This form has advanced logic built-in such that responses chosen on the form dictate the rest of the workflow for this order. For example, if the customer is tax exempt, the system marks the Tax Exemption form as a required form, and if their zip code is outside IO’s regular delivery area, Laserfiche notifies the delivery team that they have an upcoming out-of-area delivery. The sales representative starts each new order by filling out a form. Once this form is submitted, Laserfiche Workflow extracts the information from the form and saves it in a series of external database tables. Workflow then decides which forms need to be filled out in order to complete this order and generates unique URLs for each form by appending a randomly generated token to each form’s URL. For all intents and purposes, this ensures that outside parties cannot access the information related to that order. At this stage, the purchasing customer receives an email with a single URL. This URL points to a customer portal, which is a heavily customized Laserfiche form that aggregates the URLs for each form in their order along with their statuses. The main benefit of this approach is that the customer is always aware of their own progress (via a progress bar on the portal page that automatically updates as they submit each form) and knows whether the forms are required or optional. 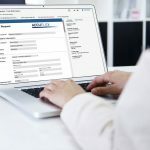 Information submitted in previous forms is automatically looked up and used to populate similar or identical fields in subsequent ones, which dramatically reduces the need for data entry. 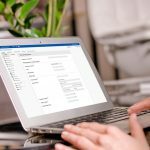 This means customers have to spend much less time filling out forms, which directly translates to faster processing and fulfillment of orders. Customers can track the progress of their order on their customized customer portal. At any point, the customer’s sales representative can view their form completion status by selecting the order folder inside the Laserfiche Client and clicking a custom toolbar button. This button, titled the “Form Launcher,” points to an executable developed using the Laserfiche Client Automation Tools. 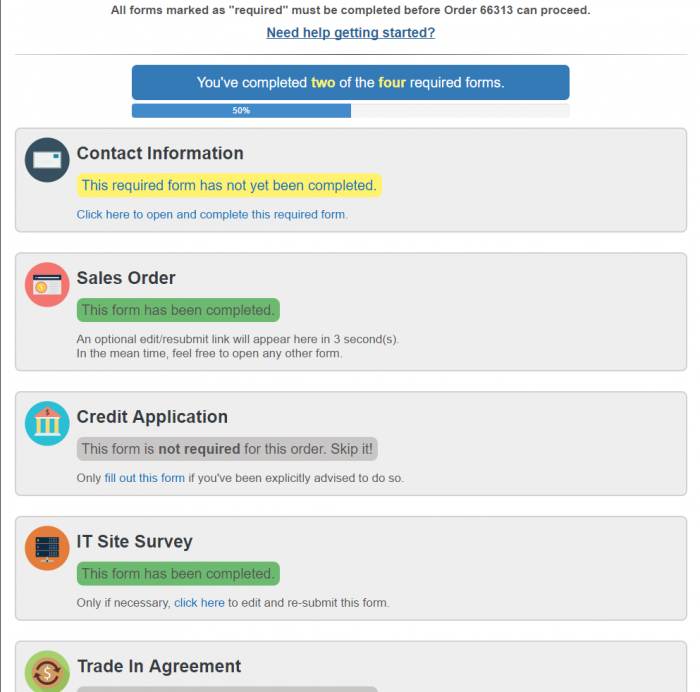 It reads the unique URL of that order’s customer portal page from a metadata field on the order folder and launches a browser window with that URL. The sales representative can launch each customer’s customer portal by clicking a button in Laserfiche. Occasionally, the sales representative needs to make changes to certain conditions or terms of the sale after negotiations with the customer. Those sections are read-only in the forms so that the customer cannot adjust any of the information. However, if the sales representative must make changes to those sections of the form on the fly, he or she can unlock the form in real time by entering a passcode, known only to IO sales representatives, into a special field. This unlocks the form and makes it editable. The sales representative can then make any changes, which are immediately saved into the database, automatically updating all other forms with the new information. If the terms of the sale have changed, the sales representative can unlock the form for editing by providing a password. Once all of the forms for an order are submitted, they are stored in a subfolder for that order in each customer’s Laserfiche folder. The appropriate staff at IO is then notified that the forms are ready for processing. This allows IO employees to know that when they start processing an order, it will have all of the information required, eliminating time wasted retrieving missing information from a sales order. 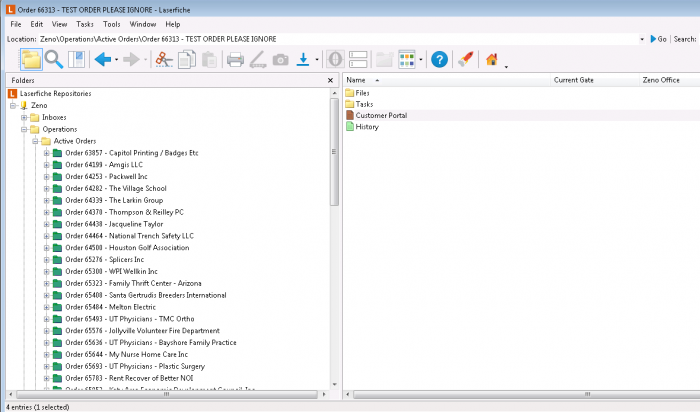 All forms related to one order are stored in a centralized location in Laserfiche. The new order process now takes less than four days, as opposed to several weeks because all forms can be completed online. Sales representatives can now get a lot more done because they no longer have to try to arrange in-person meetings with clients just to get paperwork filled out and signed. Information is easily editable and able to be immediately verified, so any mistakes made in an order can be fixed immediately. The sales packet is available in a centralized location in Laserfiche, making it easy to find whenever it is needed. IO makes an excellent impression on customers as a modern technology company that focuses on efficiency, rather than just another traditional, old-school copier company. Last but not the least, IO customers who are buying hardware or managed print services tend to become very interested in Laserfiche and sometimes ask to see demos. This has been very exciting for IO’s up-and-coming Professional Services division!